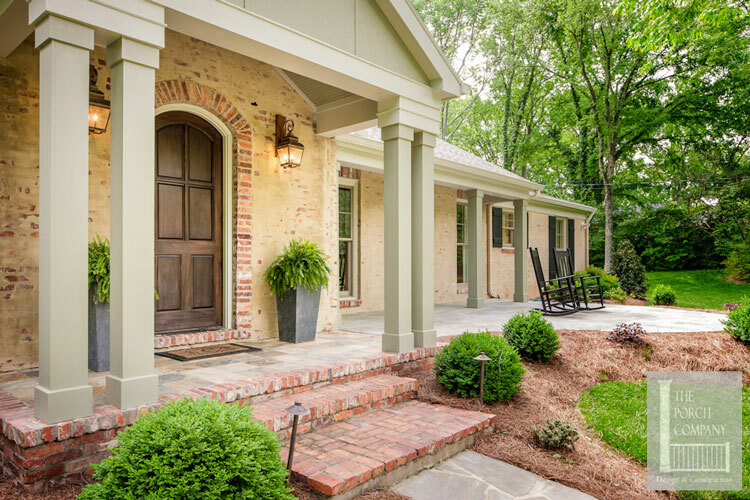 Gazing at front porch pictures is a sure-fire way to find ideas for designing, decorating, furnishing, and landscaping your porch. 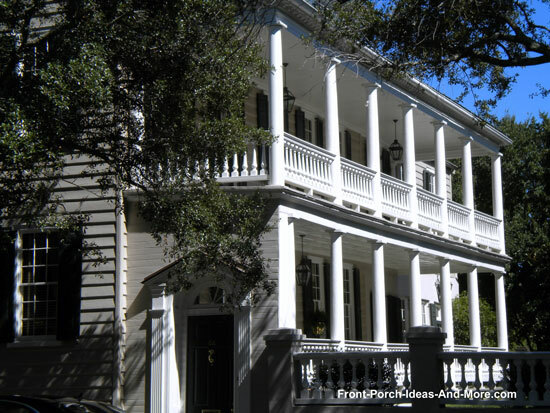 Mary and I have many pictures of porches to get you inspired and thinking about how to create that porch you want. 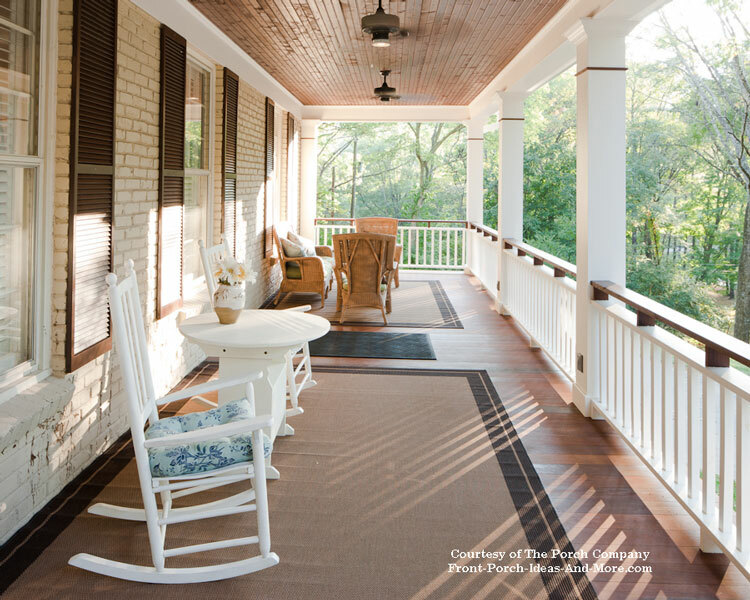 We know you are in for a real treat - our site is chock full of wonderful porch photos. Not only have we traveled across the country to capture the perfect porch but we also feature porches from site visitors like yourself. 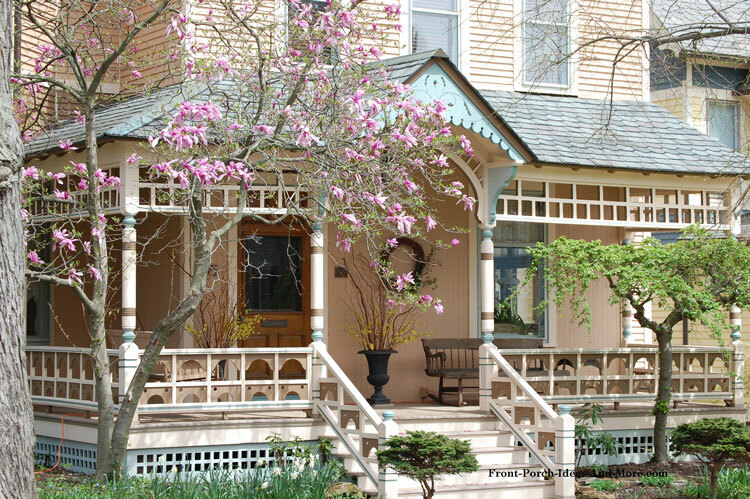 We've discovered there are thousands of porch lovers out there - you will be delighted with their porch pictures too. 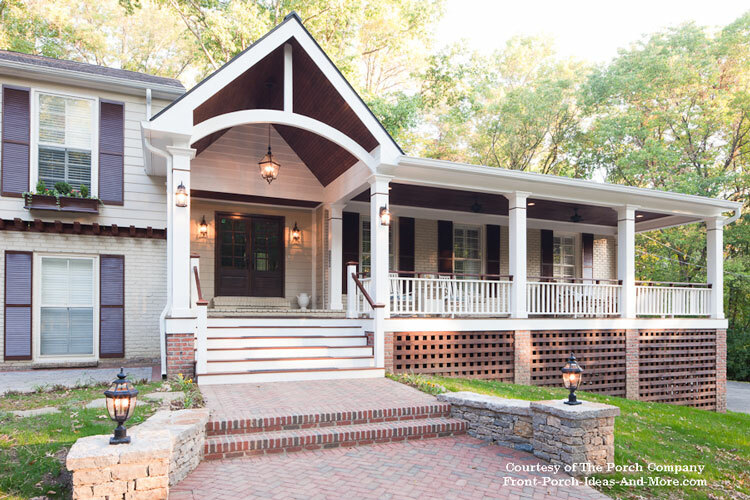 It is surprising just how many components of a porch have to come together to not only be aesthetically pleasing to the eye but also comfortable and inviting. 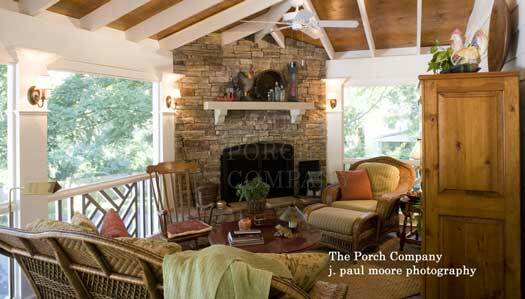 Our porch photos, and we literally have hundreds throughout our site, depict every facet of the perfect front porch. Let your journey begin! 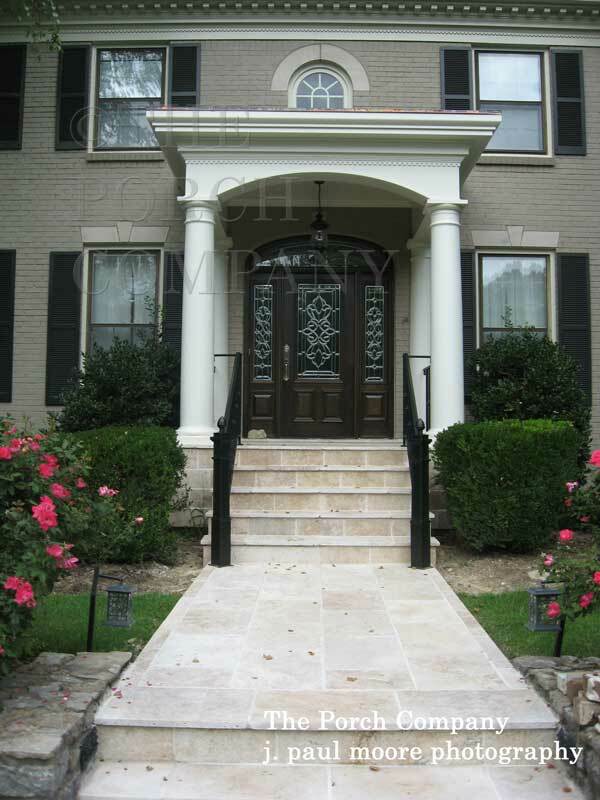 We begin by showing you various front porch photos on this page and will also help guide you to many more on our site whether it be for ideas on landscaping, railings, steps, ceilings, furniture, columns, or more. 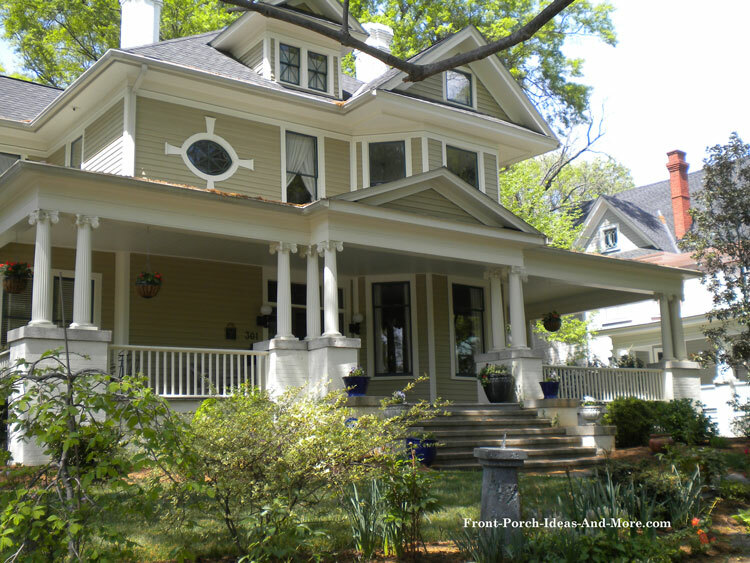 Exterior house trim can turn an ordinary porch into an extraordinary one. 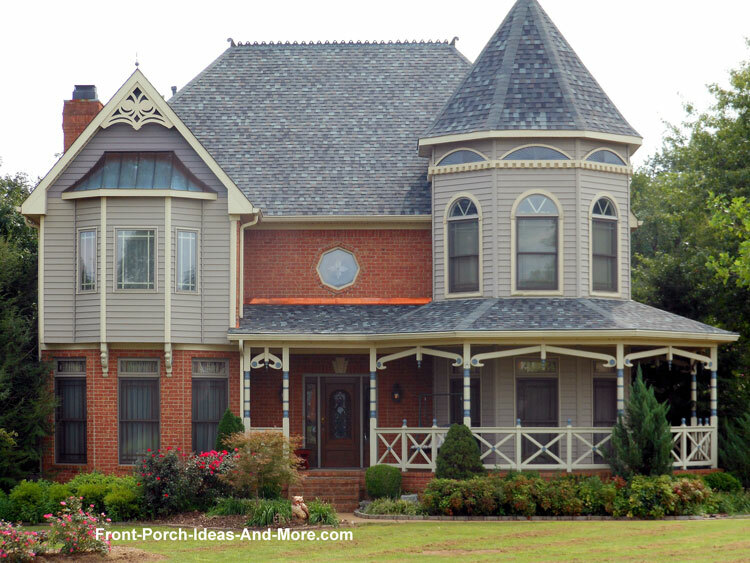 You can add porch trim to almost any style porch to add a little extra curb appeal. 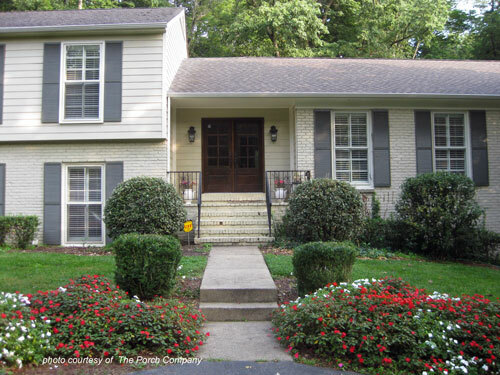 It is a relatively easy and inexpensive way to change the appearance of your front porch. Most homeowners can do it themselves too. 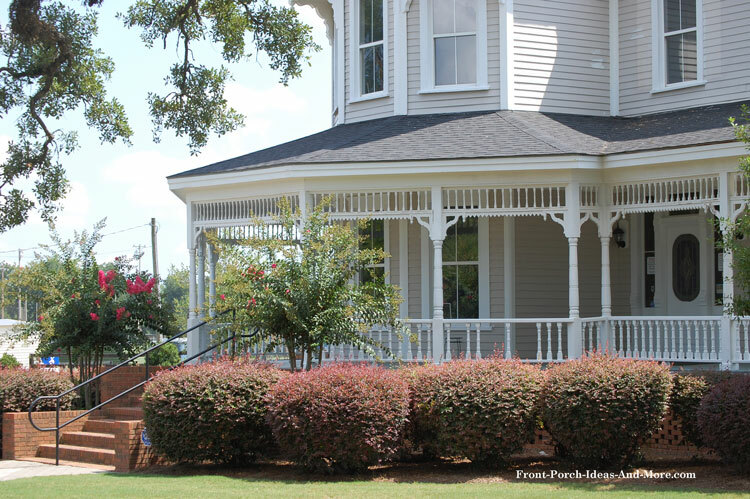 Be sure to see our exterior house trim section and front porch pictures to get some dazzling ideas for your own porch. 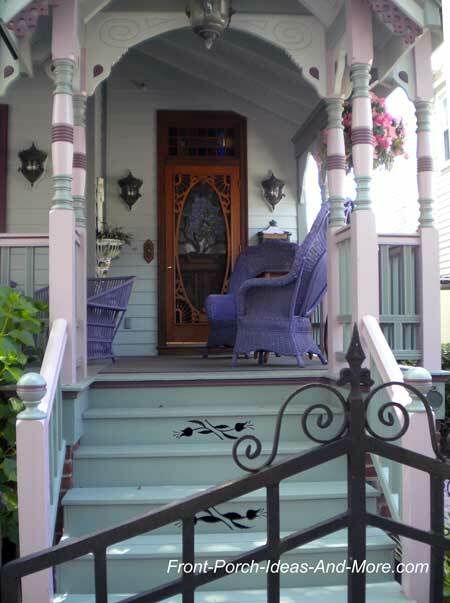 Like in the photo above, color is a wonderful way to change or update your front porch. Purple probably won't work as well on other styles of porches, but there are colors that would be perfect for your front porch. If you are like me, I am not good at choosing colors. I know what I like when I see it but have difficulty envisioning the outcome. So we created a whole porch color section to help if you need it. Our architectural color chart is just of the tools we have that you can use to help achieve the perfect colors for your porch (and for your home too). If you see a color you like on one of our front porch pictures, you can find complementary or contrasting colors using our color guide. 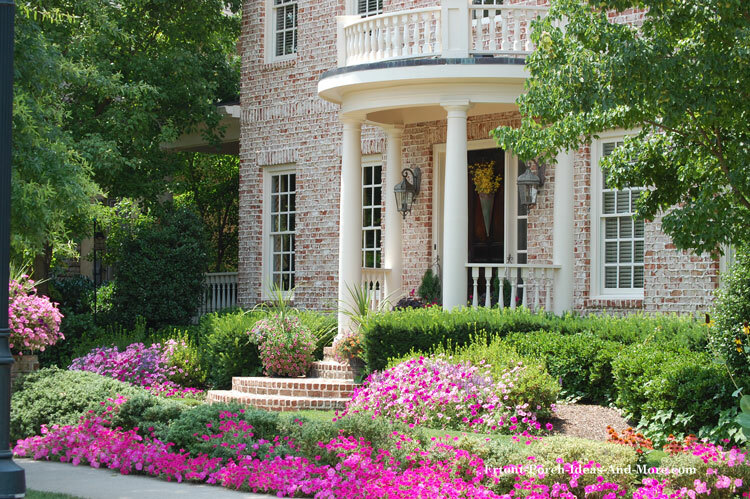 Everyone notices beautiful front yard landscaping. 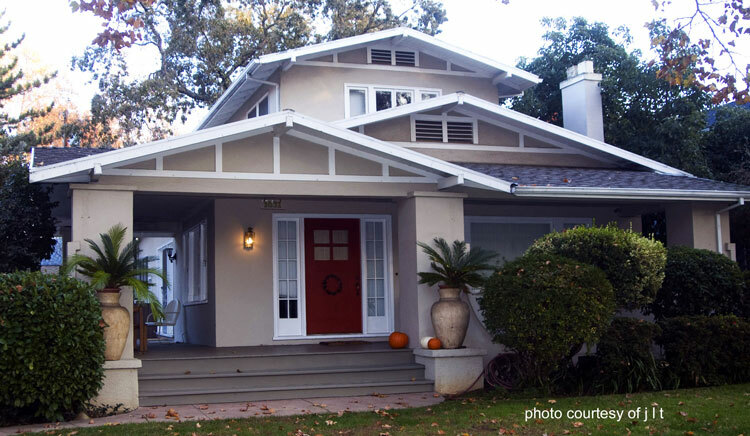 Combine that with a perfect porch and you create a masterpiece of curb appeal. 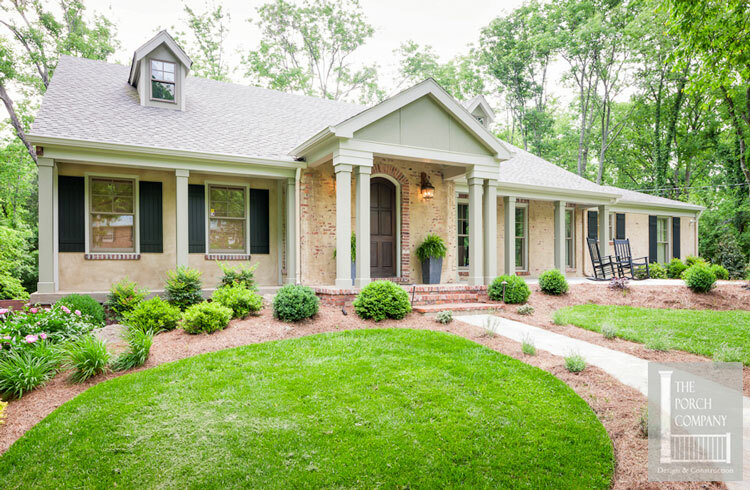 Mary and I know many folks who like to create landscaping to complement their front porch. 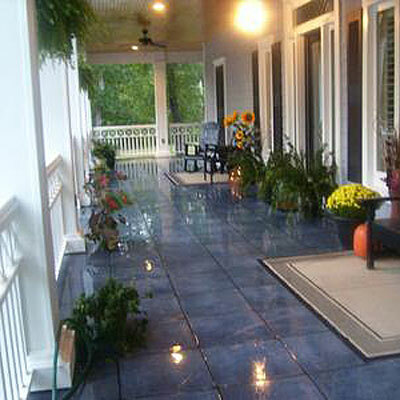 Our porch landscaping section and pictures of porches will give you plenty of ideas. We try to cover everything from basic plantings to landscaping with rocks. You have to see to believe! 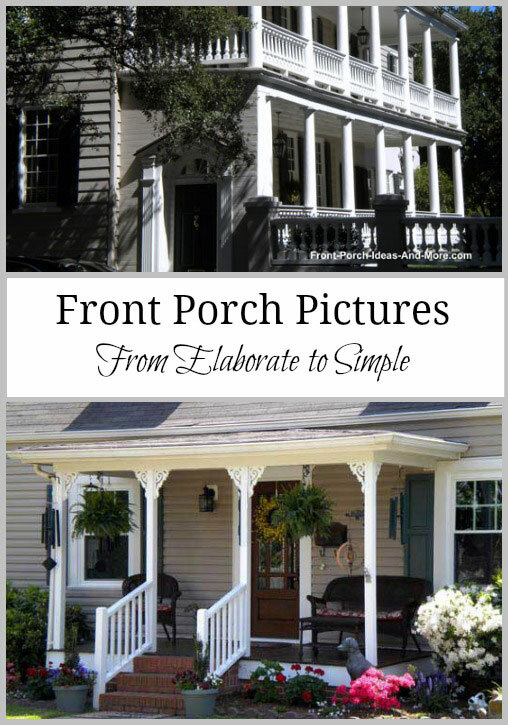 We love before and after front porch pictures and have many throughout our site. 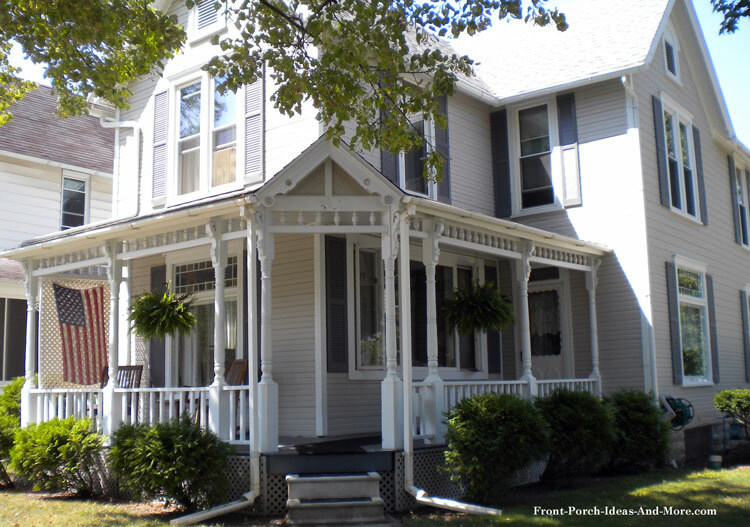 Just look what a new porch can do! courtesy of The Porch Company, Nashville TN. 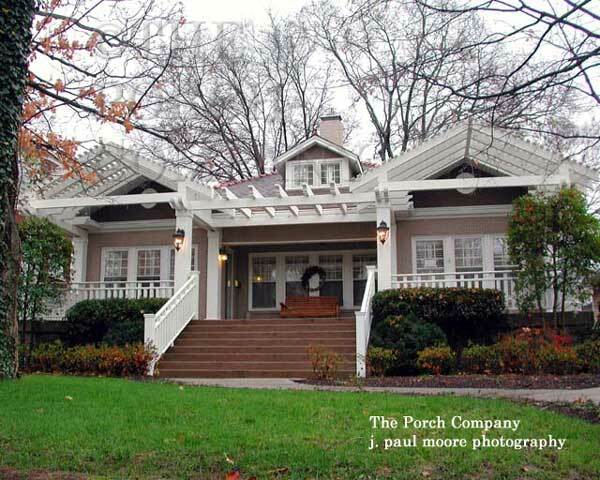 Enjoy the following photos courtesy of The Porch Company in Nashville, TN. 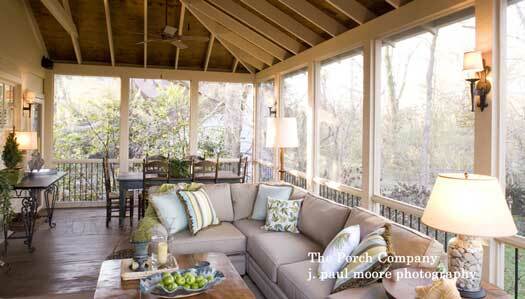 Who doesn't love a great screened porch. 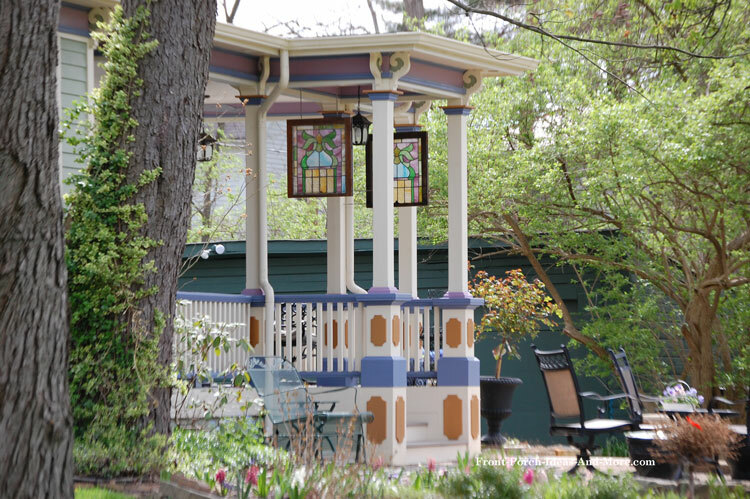 We just happen to have some of the most beautifully designed screen porches - here's a small sampling. 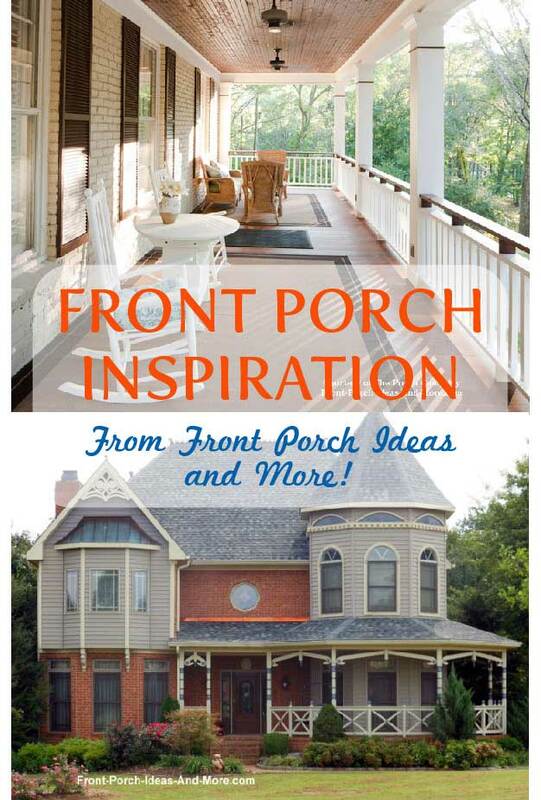 Be sure to visit our beautiful screen porch ideas section. 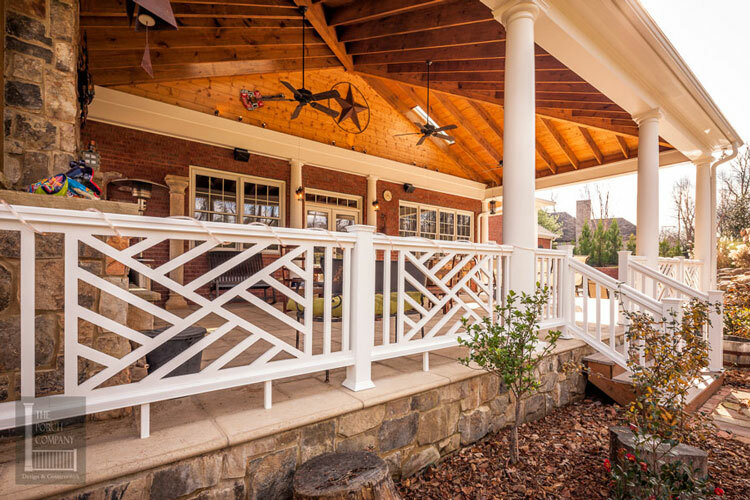 The Porch Company, Nashville Tennessee, is a design and construction company specializing in custom porches and screened-in porches. We encourage you to learn more about them. 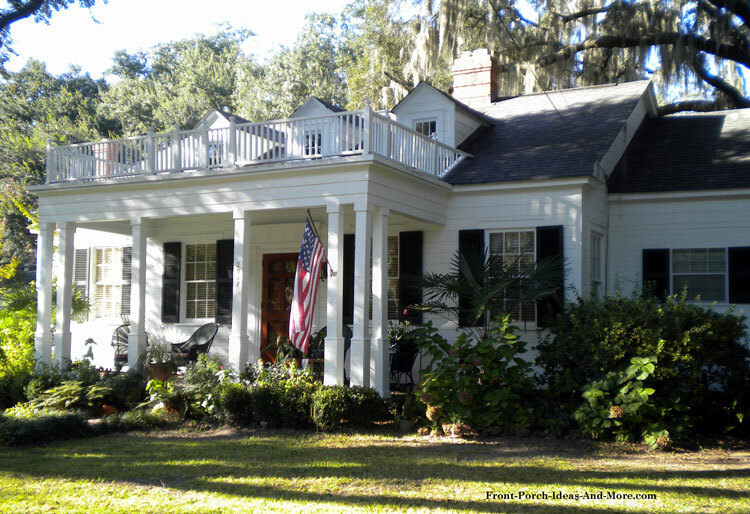 Mary and I travel across the country to find front porch ideas you won't see anywhere else. 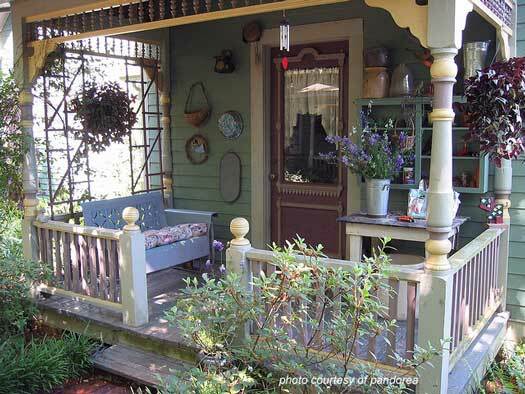 See how people design and decorate their porches from coast to coast. 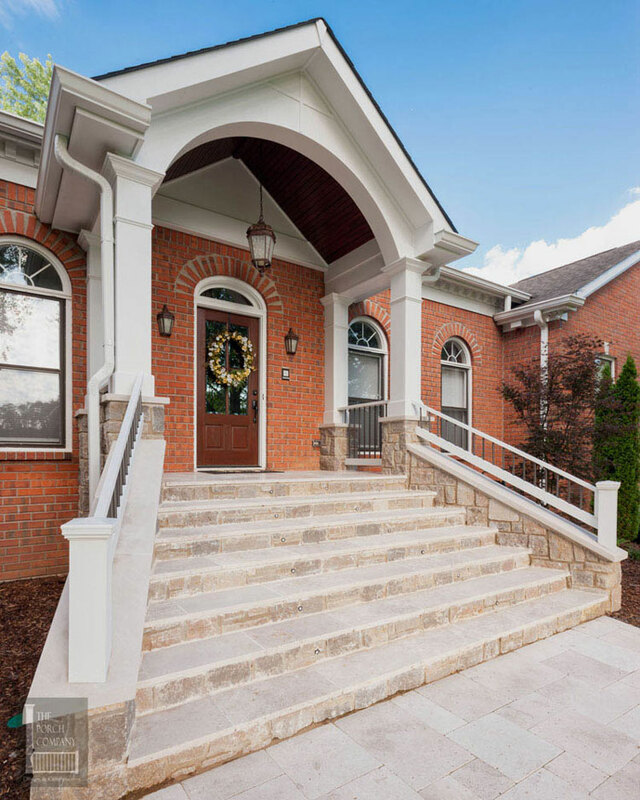 As you explore our site you will see we have front porch ideas and front porch pictures covering every aspect of porches and extensive sections on design, building, decorating, landscaping, screened porches, and much more. 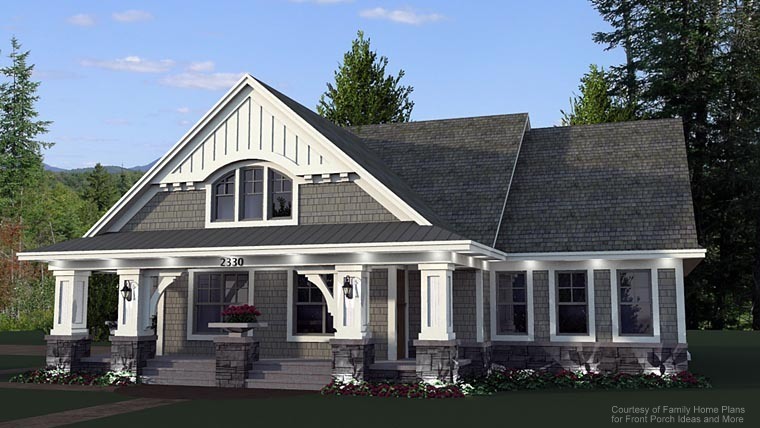 These house plan renderings and photos will give you lots of ideas along with access to an inventory of house plans all with front porches.